A new international trailer for Billionaire Boys Club highlights Elgort and Egerton and features Emma Roberts, Jeremy Irvine, Cary Elwes, Judd Nelson and Billie Lourd, which is based on the real-life club of the same name that made headlines in Southern California in the 1980s. 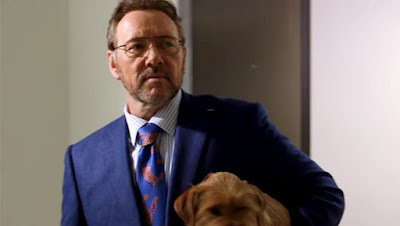 At the same time, it certainly doesn't shy away from showing a bearded Spacey in numerous scenes. Spacey, whose name appears in the final credits on the trailer, plays real-life Beverly Hills high-roller Ron Levin. Billionaire Boys Club hits theaters and VOD platforms on July 17 2018.